Live donor nephrectomy can be a dangerous operation. Five donor deaths have been reported in the United States. Of these, two occurred due to hemorrhage. One of these donors suffered anoxic brain damage and lived in a vegetative state for four years before dying recently (87). Conversion of a laparoscopic nephrectomy to open nephrectomy is most commonly performed for vascular control. The overall rate of conversion reported is 2.1% in 3478 donors (Table 3). Vascular injuries are the most feared complication in laparoscopic surgery (88-90). Vascular injuries may occur at the time of peritoneal entry, during placement of the Veress needle or the trocars. Injuries may also occur at any step of the surgical dissection or vascular stapling. Vascular injuries occurring during laparoscopic donor nephrectomy may be classified as minor or major injuries. Minor injuries are defined as those that can be handled laparoscopically without jeopardizing the outcome of the surgery for either the donor or the recipient. Minor bleeding from injury to gonadal, lumbar, or adrenal veins falls into this category. However, if these injuries are not controlled rapidly, they can quickly become major problems. Major vascular injuries are defined as those that result in conversion to open surgery or graft loss. Major vascular injury is the most common cause for conversion to open surgery. Sixty percent of the vascular injuries requiring open conversion occur during the use of the endovascular stapler (10). Therefore, complete dissection prior to use and great care in avoiding other clips and staples when applying the endovascular staplers are essential. With major vascular injuries, quick conversion will minimize blood loss and maximize the chances for a successful outcome for both the donor and the recipient. Currently, the biggest risk to the donor is potential vascular catastrophe. There is room for device reliability improvement even for the available excellent products. and a donor death. Therefore, multiple clips should be used for safety. 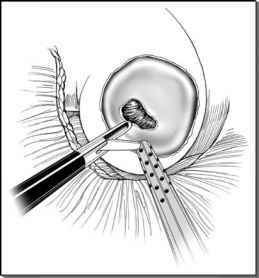 The ultimate goal is to provide the maximum vessel length with the safest method; the renal vein length is especially important. However, this should not in any way comprise donor safety. Laparoscopic donor nephrectomy requires much more skill and finesse than laparoscopic radical nephrectomy. There is no margin of error. Superb technique is absolutely essential to obtaining good donor outcome and recipient graph function.